The plan Senate Finance Chairman Max Baucus distributed to the Gang of Six is now available via various sources, including TNR.COM. And, generally speaking, it looks like the summaries that were circulating over the weekend. It's not as good as it could be, but better than it might have been, given earlier drafts. 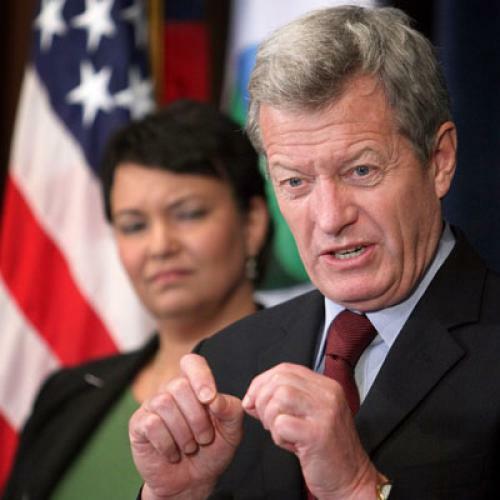 The Baucus plan, like most of the proposals out there, offers people who buy insurance two forms of financial protection. The first is a subsidy--in this case, a tax credit, linked to your income. The second is a cap on your out-of-pocket expenses--that is, a limit to how much money you'd have to spend on medical services via co-payments, deductibles, and the like. The protection varies depending on income levels, so that the greater your income the lower the protection. The passage above refers to people who are making between three and four times the poverty line. For a family of four, that's between $66,000 and $88,000 in income. (That's gross income, not take-home pay.) The premium assistance means that people in this income wouldn't have to pay more than 13 percent of their income on premiums. But note that last line, which I've italicized. There's no separate limit on out-of-pocket costs. Now, that's not the full story. All of these regulations apply only to people buying coverage through the exchanges. (In other words, they don't apply to employer-sponsored coverage.) And under the exchange regulations, plans can't impose cost-sharing higher than minimum standards for what's known as a health savings account. My understanding is that the HSA limit is around $6,000 per adult, which would mean $12,000 for the typical family of four. I know, I know. You're totally lost now. So here's a simple way to think about it. Imagine you're the head of a family of four, with two adults, making an income of $70,000. And since you don't get insurance from your employer, you have to buy it on your own. 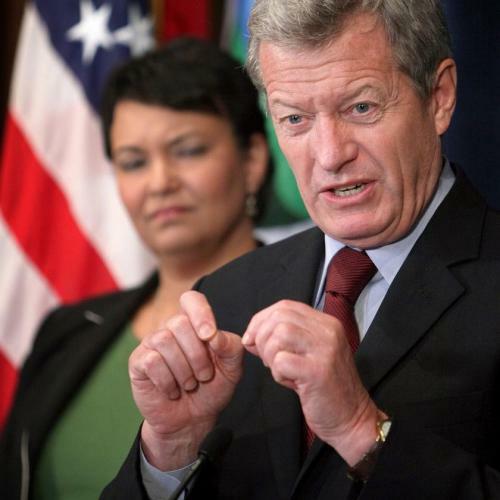 If Baucus had his way, you could buy coverage through the exchange. And you'd have to spend no more than 13 percent of your gross income--or around $9,000--on your insurance premiums. But your insurance wouldn't cover everything. There'd be deductibles, co-payments, and so on. If you bought the minimum level plan, you'd be on the hook for as much as $12,000 in out-of-pocket expenses--a level you could hit pretty easily if you had a seirous illness or injury. Add it all up, and you could be paying as much as $21,000--a third of your income--on medical expenses. I believe the appropriate reaction is "oy." In addition, the high cost-sharing is only if you buy the low-level plan. Truth be told, if you're paying enough to hit the premium cap, chances are good you are buying a better policy--one that doesn't have such high out-of-pocket expenses. Still, this is clearly a place where the Baucus plan is weak, even for a compromise. Fortunately, it's also one of the areas that could be easily improved. Among other things, Olympia Snowe, the Republican senator that Obama and his allies are targetting, is pretty good on affordability issues and has suggested she wants more protection. The catch is paying for it; if you want to give people more financial assistance, the money has to come from somewhere. But it ought to be possible to buy a little more protection for not a lot of money. By the way, this shortcoming is precisely the sort or problem that Jordan Rau highlighted in a widely cited Kaiser Health News article last week. It should be required reading, alongside a new KHN article--by his colleague Julie Appleby--breaking down what different iterations of reform would mean for different people. Update: Speed-reader Ezra Klein has gone through the bill and offered several pieces of analysis, all of which (shockingly) I find persuasive.